From The Roof Down In Residential Renovations: Add Beauty and Shade with an Operable Pergola! Add Beauty and Shade with an Operable Pergola! 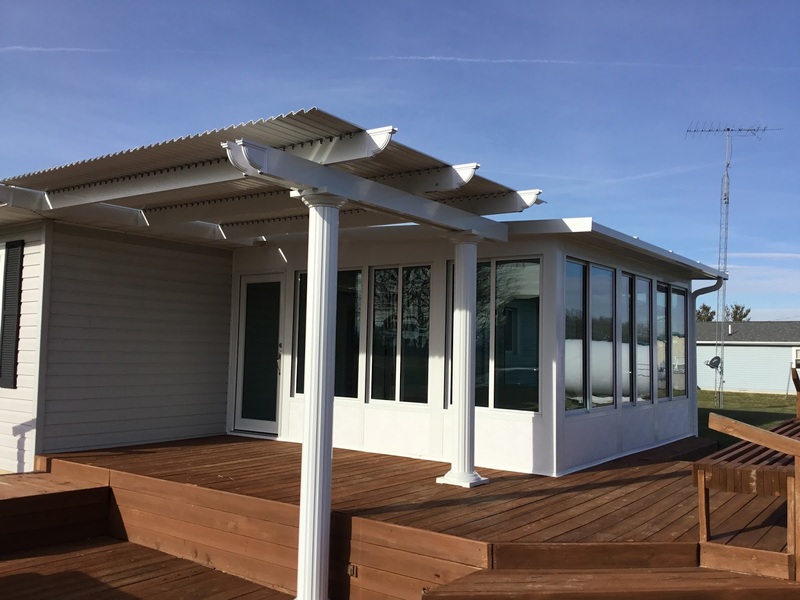 Residential Renovations offers pergolas that are built to last with heavy-duty extruded aluminum coated that is manufactured for decades of durability no matter what nature throws its way! They are inspired by the rich architectural history of Italy, available in Roma, Florentine, and Venetian designs. Our innovative operable pergolas feature a covered roof that can be open or closed. This design allows you to choose on beautiful days when you want to relax outside and enjoy some sunshine, when you want to use a slow-motion motor to open the rafters and allow the sunlight to filter through. Then, when the sunshine becomes too intense or the rain begins to come in to your outdoor space, you can simply close the rafters of your pergola and it turns into a solid-roof patio cover – just as simple as that. Free standing pergola – Install the pergola wherever on your property, like the entrance way of your home, over a pool deck or near a special zen space. Garden arbor pergola – Providing an exquisite beauty over any size of garden or other special landscaping. The pergola can feature an open-beam design, which is ideal for growing and encouraging climbing vines of any type. Attached pergola – It can be fastened directly to the exterior of your home or building to provide partial or complete shade - even over existing patios and decks alike. Don't wait! Turn your backyard into the envy of the neighborhood! Call Residential Renovations to see how affordable we are at 419-691-3300 or visit our website at www.ResidentialRenovations.com to learn more!